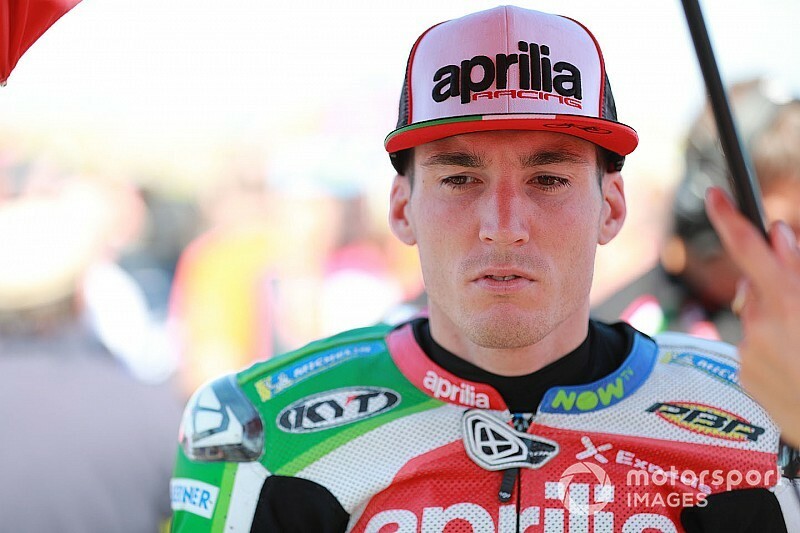 Aprilia MotoGP rider Aleix Espargaro admits he "just wants this season to finish" after younger brother Pol injured himself again at Aragon. 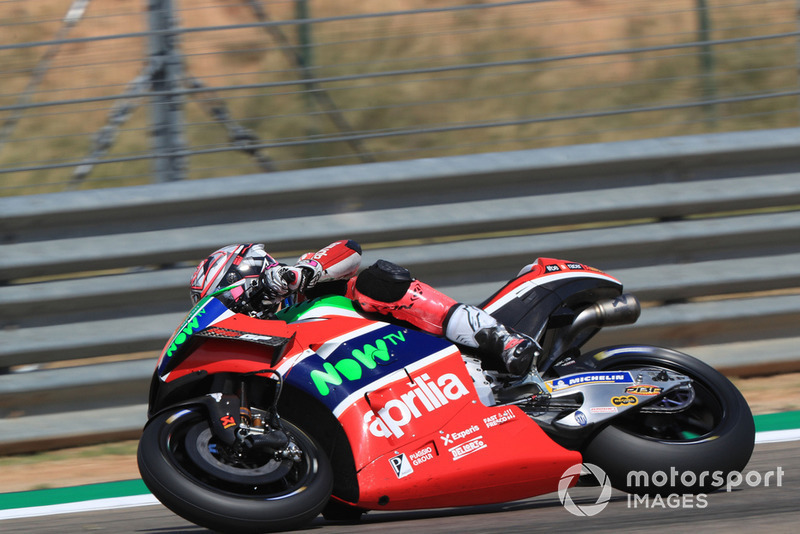 Both Espargaro brothers have missed races through injury this year, although Pol will be skipping his fourth event of 2018 on Sunday after fracturing his collarbone for the second time in a practice crash on Saturday morning. Aleix qualified 15th at Aragon - where he finished a strong sixth last year - although grid penalties for both Maverick Vinales and Franco Morbidelli promote him to 13th on the grid. While more hopeful of a better showing at Aragon than at Misano two weeks ago, the elder Espargaro - who lies 18th in the standings - admitted that he is looking forward to being able to put a difficult 2018 campaign behind him. 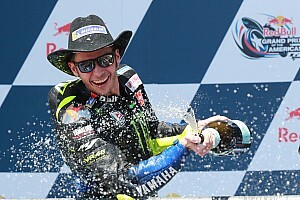 "I was with [Pol] and he's very sad, because it's been a very difficult season for both of us," said Aleix. 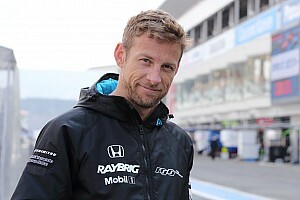 "Just trying to not think so much, I really want that this season finishes because I'm not enjoying anything, on myself. "Also my brother is having a lot of injuries, so I just want that this season finish in the best way. He will be operated today [Saturday] in the afternoon and he will be back in Thailand." 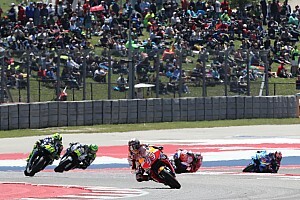 Espargaro revealed on Thursday that he had spent some time on the 2017-spec RS-GP in a post-race private test at Misano last week, and was "disappointed" to have been "very fast" on the older model. 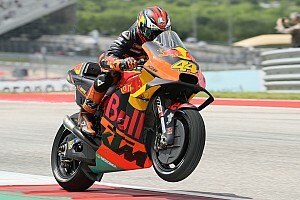 The Spaniard added after qualifying that he had pushed to have one of the older-spec machines available at Aragon. 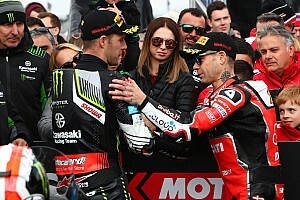 "It's difficult to stop the bike, and when I release the front brake, I cannot make the bike turn, I have to smash the front brake all the time and then accelerate because if not the bike didn't transfer," he explained. "And the engine sincerely last year was a little bit stronger in this track, I lose a little bit less from the others, but we are losing almost 10km/h in the speed, so it's also not helping." Asked where he could have been on last year's bike, he said: "Difficult to know what would happen, but obviously I was very fast last year, this year I was faster than last year but everybody was a lot faster, so it's difficult to know. 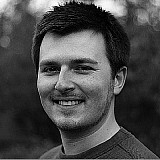 "Actually I was pushing a lot to have one-and-one but was not possible so it's better to not think about it. Obviously I was really insisting to have this, but if it's not possible, it's better to focus on the '18 one."